Wildlife sanctuaries are always popular places to visit as Thailand has some that are “must see” wildlife sanctuaries. 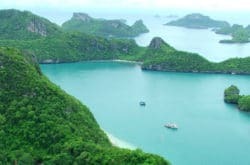 One of these is Khao Phra Thaeo Wildlife Sanctuary in Phuket that provides a glimpse of what Thailand was like before deforestation and urban sprawl saw the forests almost vanish. The Khao Phra Thaeo Wildlife Sanctuary is the only virgin, untouched rain forest on the island of Phuket and is one of only a few spaces in the world like it. 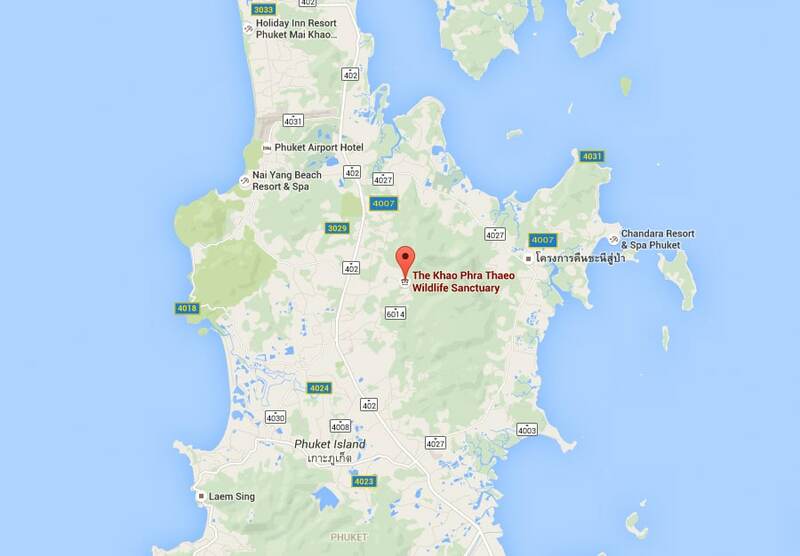 The sanctuary lies 20km north of Phuket City and covers just over 20 square kilometres. The area is far from huge and is a conservation development site making it rather special. The park is one of only a handful of places on the planet where some of the rarest animals in the world can be seen and one of the few places where they are seen in their natural habitat. Some of the animals native to the sanctuary include langurs, slow lorises, barking deer, mouse deer, deer, bear, tusked hairy wild boar, malay sun bear, wild boar, monkeys, gibbons, porcupines, palm civets and without this park many would be extinct. 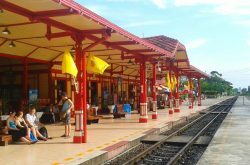 For Phuket Khao Phra Thaeo is one of the major sources of fresh water, without this resource the tourist industry itself would struggle to survive. But it is this water that makes the Khao Phra Thaeo Wildlife Sanctuary one of the most popular tourist attractions as many tours include time spent in the water. The Ton Sae and Bang Pae waterfalls are two of the most familiar images used in travel guides and brochures for Phuket and many tourists choose to spend some time just relaxing in them or by them. There is no entrance fee to the Khao Phra Thaeo Wildlife Sanctuary however to really make the most of the 3 hour walking tour through the forest it is worthwhile paying for an experienced guide. With a good guide your hike through the forest will become an extraordinary experience and the chances of seeing the wildlife will increase. There are a few forest trails that have been clearly mapped out and some are a little more challenging than others. At certain times of the year, the forest can get quite warm and it is recommended to pack a water bottle. Another attraction in the park is the Gibbon Rehabilitation Centre. This amazing project is one that cries out with “ahh cute” and other such phrases and is a superb place to get some wonderful and very happy photos. The Gibbon Rehabilitation project is aimed at reintroducing white handed Gibbons back into the wild and the project is funded by donations as well as support from tourists. The Khao Phra Thaeo Wildlife Sanctuary is open all year round and is a superb place to visit. For such a small place it packs a lot in and many tourist come back time and again as there is something special about the place.